It may be elementary knowledge that plants, trees and flowers provide us with life-giving oxygen we all need and that the rain forests are responsible for much of our breathable air. But what may not be general knowledge is that there are certain plants that truly do improve indoor air quality, purifying the air.. 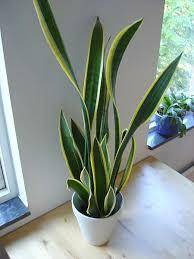 The following article will shed light on some of these plants and the ways in which they improve indoor air quality. Have you ever heard of Sick Building Syndrome? Chances are that most of you have not, and that is not uncommon. Sick Building Syndrome, or SBS, is a combination of ailments (the definition of a syndrome) originating from where one works or lives. Knowing this, and for those who are affected by it, an environment that is consciously designed to minimize SBS is ideal. However, with the fact that most homes and places of employment are not designed or built with indoor air quality in mind, individuals must take it upon themselves to rectify the problem. In a typical building, there will be pollutants such as carbon dioxide, trichloroethylene, benzene and formaldehyde floating within your indoor air. These, and others, are the cause of the pollutants which create the symptoms to SBS. But as mentioned above, Nature is the key to virtually eliminating many of these pollutants and allergens. 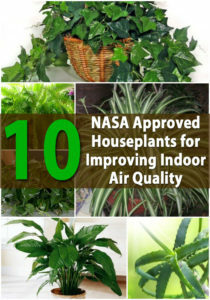 Even if you are not a gardener by trade or have much of a ‘green thumb’, the 15 listed plants below (which should be easily located wherever household plants are sold) will help you achieve a better quality of indoor air and alleviate many of your symptoms of sick building syndrome. Reduced allergy symptoms,Fewer problems with asthma,Less coughing,Fewer headaches,Better sleep. You’ll wake up feeling rested, not tired and cranky.